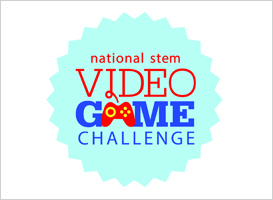 The National STEM Video Game Challenge is a competition for students, in grades 5-12, to develop video games for prizes and national recognition. As community anchor institutions, museums and libraries offer the right mix of staff, technology, and facilities to serve as ideal venues for creative game design learning. With support from IMLS, the Joan Ganz Cooney Center at Sesame Workshop and E-Line Media host youth game-design workshops and staff webinars for museum and library professionals. They also provide tools and dynamic online museum- and library-specific content to expand the capacity of these institutions to help students create games and participate in the Challenge. The Challenge website features a mentor resource kit, a hands-on workshop guide, resources on game design and STEM skills, and information on STEM Challenge events.